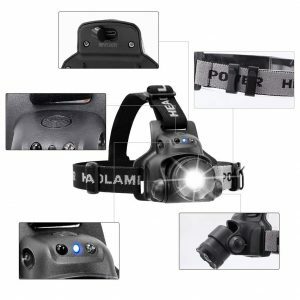 1.High Performance: The bike headlight provides 1200 lumen output and up to up to around 300 metres ahead. 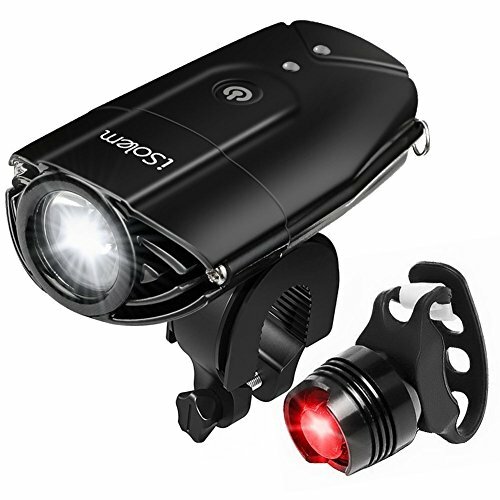 2.USB Rechargeable Bike Headlight: Built in 2000mAh lithium battery, working time lasts longer. 3.Easy Installation and Quick Release: With no tools required, you’ll be able to mount the LED bike headlight and taillight in a minute or less. 4.Waterproof Light Set: It is in a position to withstand any sort of weather, allowing you to trip whenever you want to, no matter what. 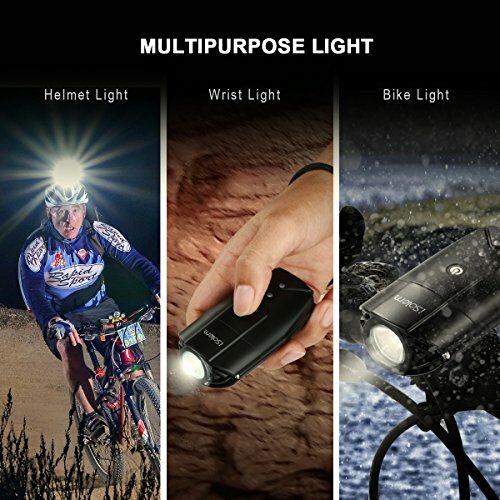 5.Multi-function LED lights: When you are not on the bike, you’ll be able to detach the headlight from its holder and use it as a handheld flashlight instead.It may be used as a mountaineering, camping, headlights or flashlight. 6.Red Taillight: It runs off from 2 long-lasting button batteries and boasts a setting that keeps the light on constantly, one with a strobe light and one that comes on whenever you slow down. It can also be tied to the backpack. Keeping you satisfied and providing you with the friendliest customer service is our number one goal. This is why stand 100% in the back of our products, offering you a replacement or a refund in case this front bike light does not live up to your expectations.